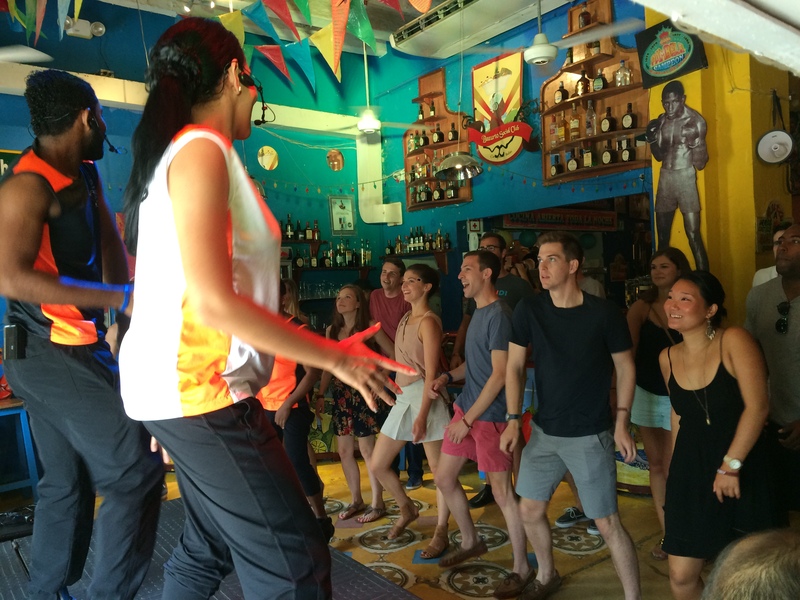 According to our philosophy, feeling and enjoying the rhythm and the music is the most important part of learning latin dancing – if you feel and enjoy the music you will always have a great time dancing and your spirit will charm the other people. The difficult moves and figures can later give some more diversion and kick to your dancing but without the feeling they are not very useful and only prevent you from getting into the rhythm. Rhythm and feeling for the musicBasic steps, focusing on improving the feeling and joy for rhythm and music, achieving confidence and security for dancing in bars and clubs.Includes introduction to the different Salsa beats and special exercises to get the rhythm in your feet and your hear. Includes figures, elaborated body moves, spicing up your dancing, further improvement of security and confidence. Includes complex figures, animation to improvise and find your individual style. This is a course especially for women where we work on body expression, body waves and all other kinds of lady styling. It’s a very funny and challenging class you will enjoy a lot.